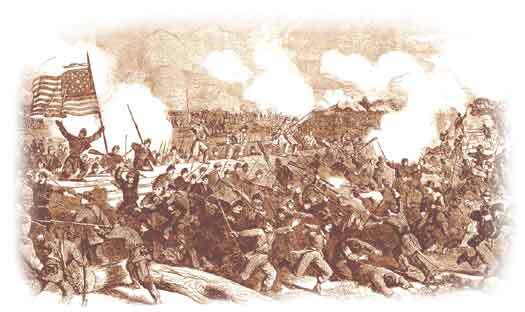 On March 13th 1862, BrigGen Ambrose Burnside led about 11,000 Union troops in a landing on Slocum’s Creek near New Bern, NC. Today, this area is the Cherry Point Marine Corps Air Station. Burnside’s objective was the capture of the town of New Bern and gaining controling of the railroad supply line at Goldsboro, a vital transportation link for the Confederates. General Parke reported that all the regiments “were under fire, and the officers seemed proud of the men they were leading and the men showed they had full confidence in their officers.” Two soldiers are killed in action and four are wounded. Greetings! Since we last corresponded have you found any additional information on Private Case? I’ve added items from the 11th and 16th Connecticut to my collection, but nothing from the 8th in about 2 years. Nothing significant, but I’m hoping to do a bit more research this year as my schedule permits. Hope to visit the battlefield in September. No problem. I would simply ask that you credit this blog.